Photo courtesy Apple Inc. showing the Apple iPhone X in an AirPower wireless charging station, presented at the new Steve Jobs Theater, during Apple's special event at Apple's new headquarters in Cupertino, California, USA. , today, September 12, 2017. New phone features include a 5.8-inch Super Retina Display, an enhanced rear-view camera with dual optical image stabilization, TrueDepth camera system, Face ID and a Bionic Chip A11 with motor Neural. Apple said the phone uses a new face-identification authentication, using a state-of-the-art TrueDepth camera system consisting of a spot projector, infrared camera and flood illuminator, and is powered by a Bionic A11 to accurately map and recognize a face. The new iPhone X will be available on Friday, October 27, 2017 in more than 55 countries and territories, and in stores starting Friday, November 03, 2017. EFE / APPLE INC. 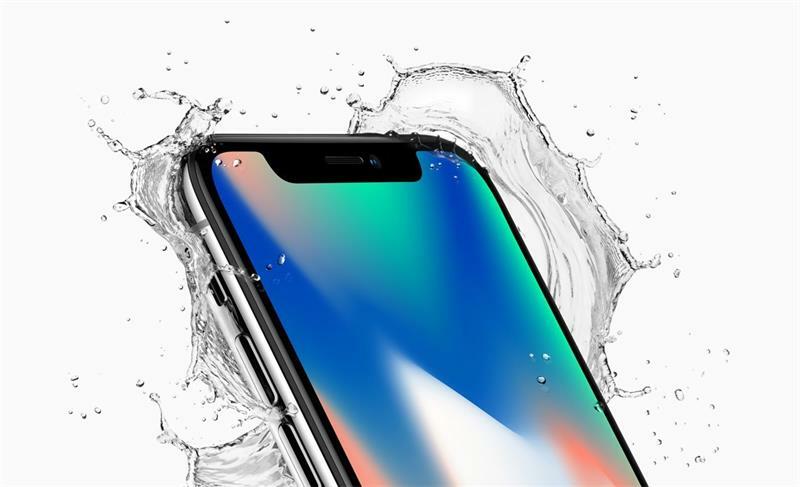 The technology company Apple today unveiled the iPhone X, the new model of its famous smartphone that, to extend the available space of its touch screen, minimizes the frames and suppresses the traditional start button. Apple CEO Tim Cook unveiled today at the event that also serves to officially inaugurate the company’s new headquarters, Apple Park, in the Californian city of Cupertino. iPhone X is the name of the mobile with which Apple celebrates the ten years of the launch of the iPhone, a key device in the social and technological revolution of smartphones. The screen of the iPhone X covers virtually the entire front surface of the mobile, as it gives up the traditional start button, one of the keys to the iPhone’s usual interface, and eliminates the frames that framed and diminished the touch surface. Photo courtesy Apple Inc. showing the Apple iPhone X with water splash, presented at the new Steve Jobs Theater, during Apple’s special event at Apple’s new headquarters in Cupertino, California, USA, today, 12 September 17, 2017. New phone features include a 5.8-inch Super Retina Display, an enhanced rear-view camera with dual optical image stabilization, TrueDepth camera system, Face ID and a Bionic Chip A11 with Neural engine. Apple said the phone uses a new face-identification authentication, using a state-of-the-art TrueDepth camera system consisting of a spot projector, infrared camera and flood illuminator, and is powered by a Bionic A11 to accurately map and recognize a face. The new iPhone X will be available on Friday, October 27, 2017 in more than 55 countries and territories, and in stores starting Friday, November 03, 2017. EFE / APPLE INC. The iPhone X display will also feature OLED technology. Another of the great novelties of the iPhone X is the introduction of Face ID, a new form of access to the mobile phone based on the facial recognition of the users and that supposes an important evolution with respect to the tactile method Touch ID. This facial recognition technology will also be used for animoji, a personalized version of the emoji that will be created from the gestures of people registered by the camera of the mobile. The iPhone X will also incorporate improvements in its photographic performance and batteries, which will last two hours longer than the iPhone 7. On the other hand, the iPhone X will be compatible with a system to charge your batteries without requiring chargers with cables. The iPhone X, priced at $ 999, can be ordered from October 27 and will go on sale on November 3. 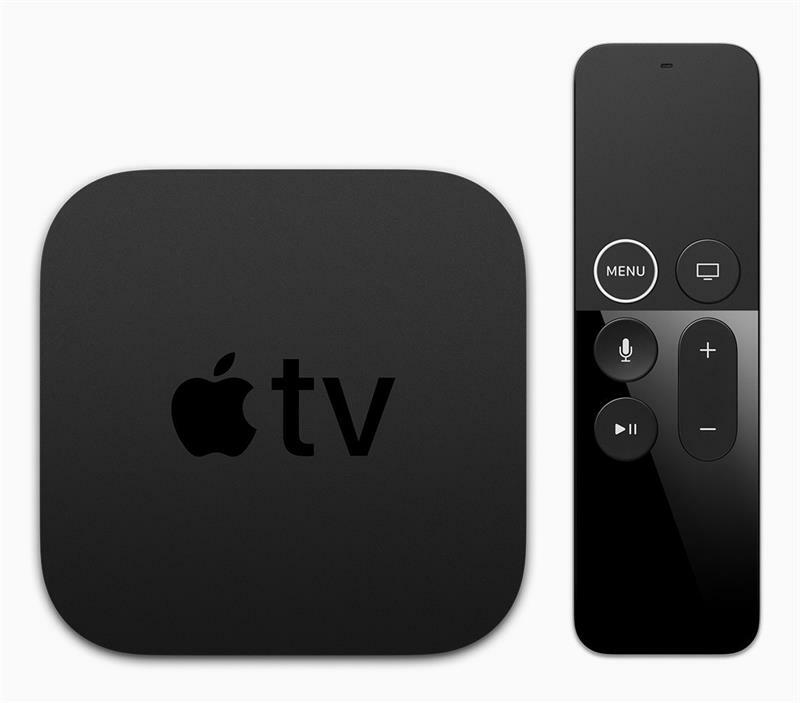 Photo courtesy of Apple Inc. showing the new Apple TV 4k and remote control presented at the new Steve Jobs Theater, during Apple’s special event at Apple’s new headquarters in Cupertino, California, USA, today, 12 September 2017. EFE / APPLE INC.